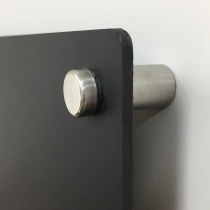 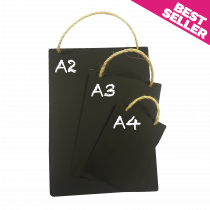 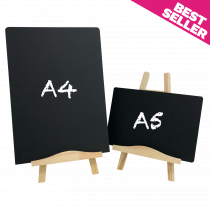 Cater Signs offer a wide range of outdoor chalkboards and indoor chalkboards. 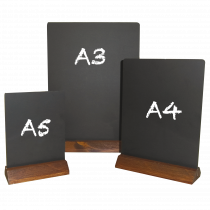 Our chalkboards are perfect for cafes, hotels, bars and restaurants that want to showcase their specials to passing trade and customers. 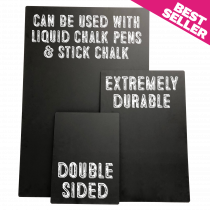 We recommend that you give your most creative member of staff a set of our waterproof liquid chalk pens and let them express their creative passion to create a bespoke eye-catching sign on your chalkboard. 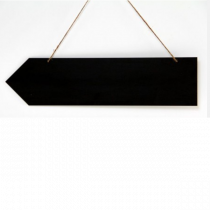 Rope Hanging Chalkboards. 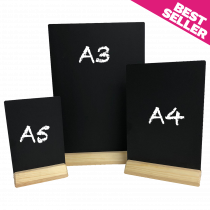 Double sided writting surface HPL Panels.